Affordable and has multiple slots for different size of memory card. Very light though but it works nothing more I need. First time to use a card reader and got a little confuse with the different card slots it has but it actually a helpful tool. Ordered it 2 days after I ordered my camera but received it same day I received my camera in different package. It comes with different slots for different memory card types which is convenient. It's easy to use and does not require any software to install, my son actually showed me how to use it. It's also small so its easy to take and pack, it does not require a lot of storage space but sometimes because its small I can't easily find it. I like this little thing. It works perfectly with my memory card every time I connect it to my computer to view the photos and video taken on my digital camera. It's very handy and easy to use. You can use it with any size of memory card from SD to microSD. Recommended. I need to view the recorded videos on the memory card of my security cam however, I have lost the usb that I used to connect it to my computer and I do not have a card slot. Found this while searching for camera and decided to try it. My microSD card fits perfect on the card reader and it also has other slots for other size of memory card. Once connected to the computer it just works without any problem. 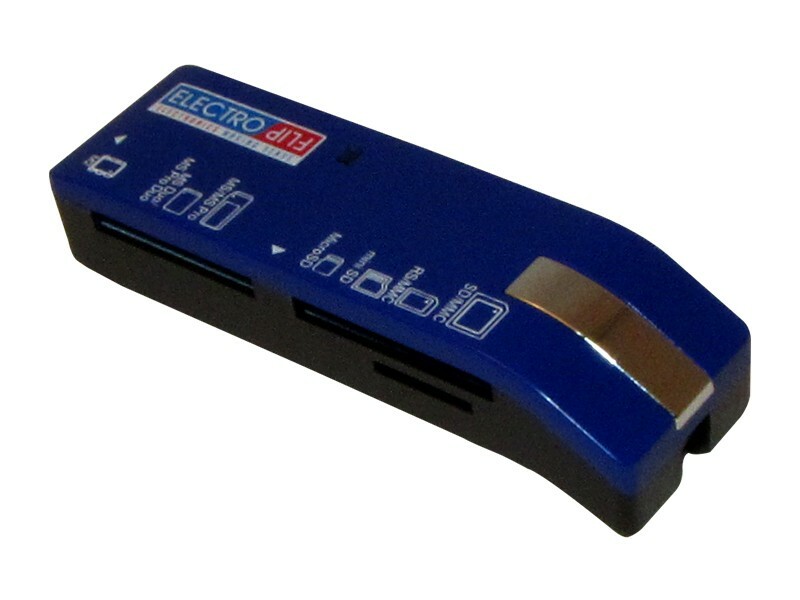 This is a classic card reader that you can use for any types and size of memory card. I often use it when viewing videos saved on my camera as I no longer have my adapter. It works perfectly great. I have this for quite a long time now and it is still working. It works with any memory card size I use. I use it to read files saved in my memory cards on my desktop computer. Don't have a card slot so this USB card reader is a big help. I could also easily transfer files from my computer to the memory card using this card reader. I have a micorSD card on one of my surveillance camera and I need to review the footage however I could no longer find the adapter so I bought this one to use an adapter. It has a lot of different slots for different card size. It's easy to use and affordable. It works perfectly with any card type (mini, micro) and with any brand.